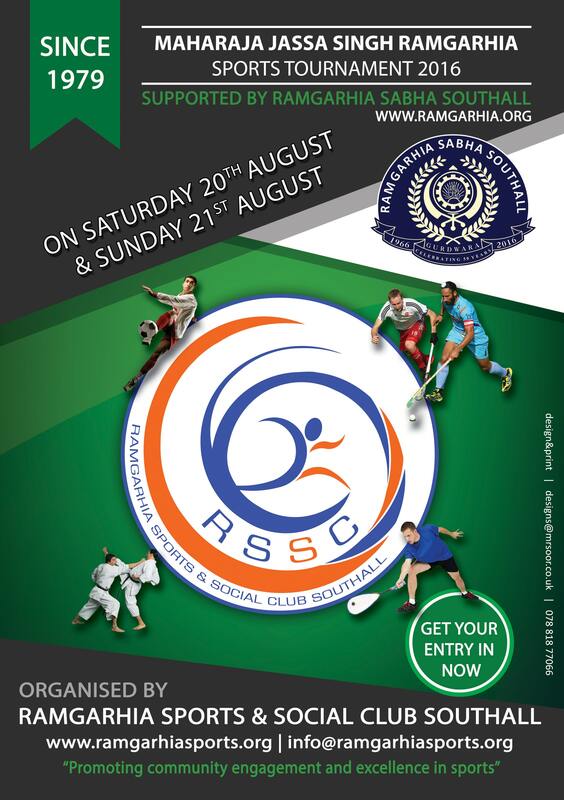 RSSC welcomes you to the 36th Annual Maharaja Jassa Singh Ramgarhia Sports Tournament on the 22-23rd August 2015! Entries are now open!!! Contact details are on the below flyer. 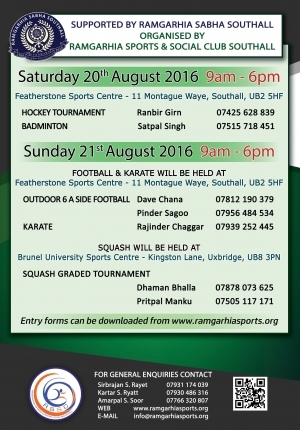 Click Here to Download a Badminton Entry Form! Click Here to Download a Football Entry Form! Click Here to Download a Hockey Entry Form! We hope to see you all at this years tournament. 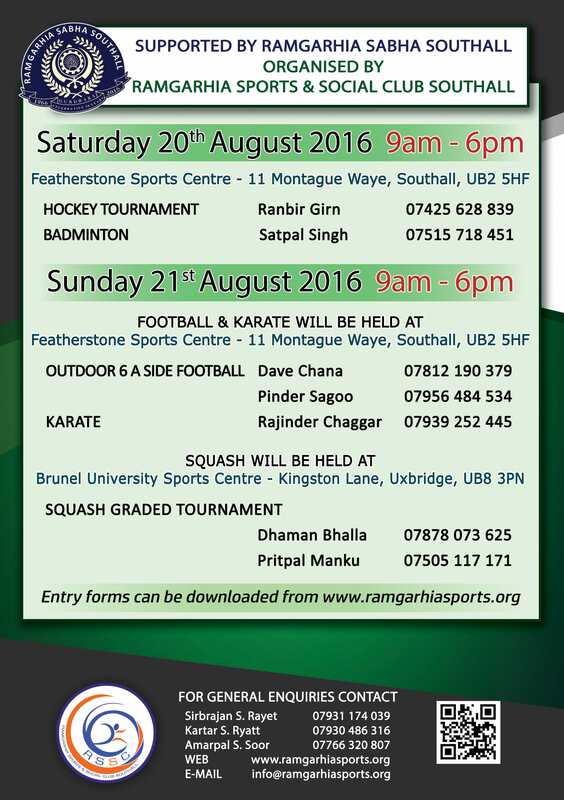 Alternatively contact our Chairman Sirbrajan Rayat on 07931 174 039. Copyright © 2019 Ramgarhia Sports and Social Club. All Rights Reserved.